WeChat, the no. 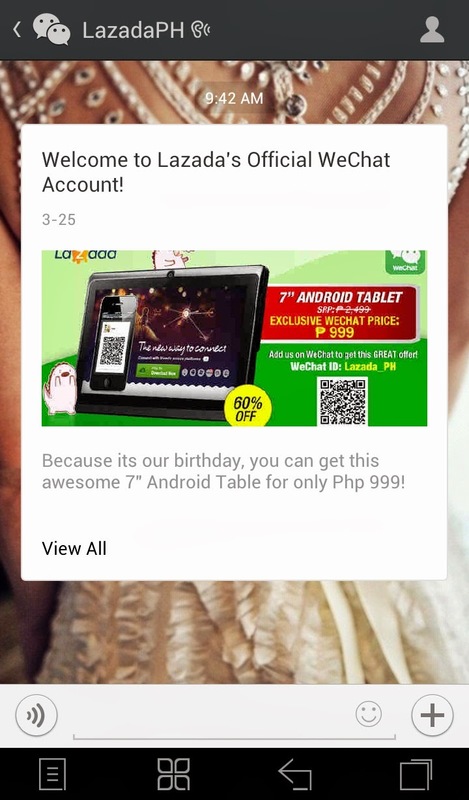 1 social mobile app in the Philippines announces the exclusive offer for its users in time to celebrate Lazada’s 2nd anniversary today, March 26, 2014. 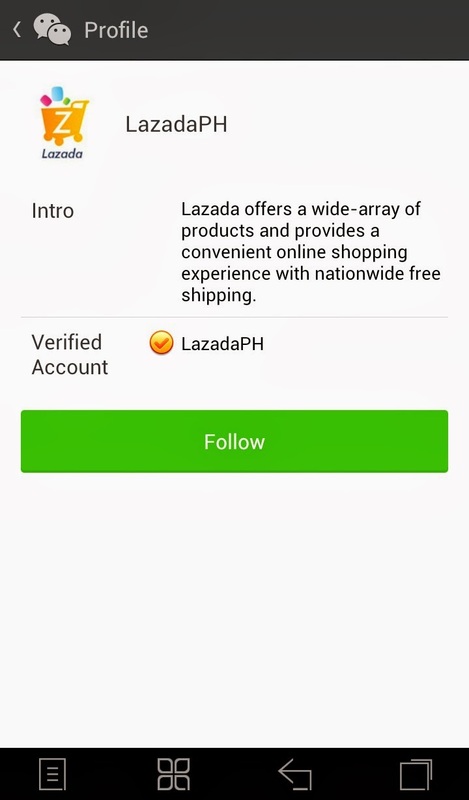 The number one online shopping mall, Lazada Philippines wishes to thank its customers for supporting their platform offering a wide array of products—from consumer electronics and fashion pieces to home and living must-owns. 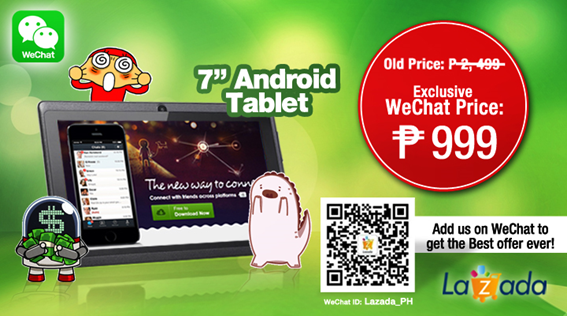 Get exclusive deals on awesome items like 7" Android tablet only available to WeChat subscribers for only Php 999! 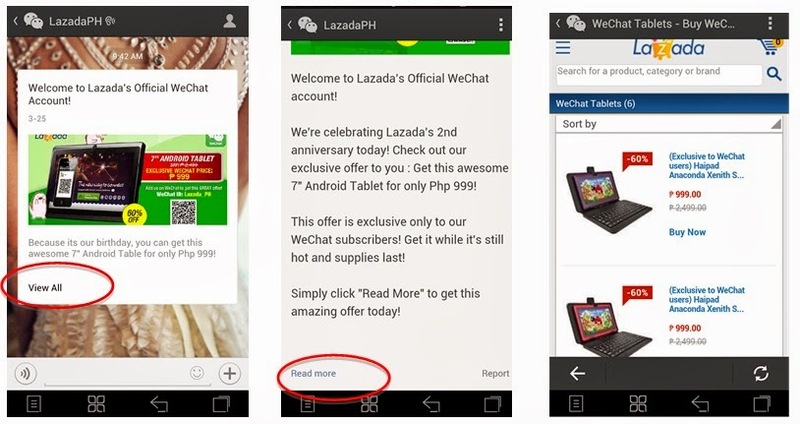 The discounted price of tablets is for the 1,000 users who are following Lazada Philippines Official Account on WeChat. Each chosen user will be able to get hold of the gadget which is originally priced at P2,499. Don’t miss the celebration of exclusive offer from WeChat and Lazada. 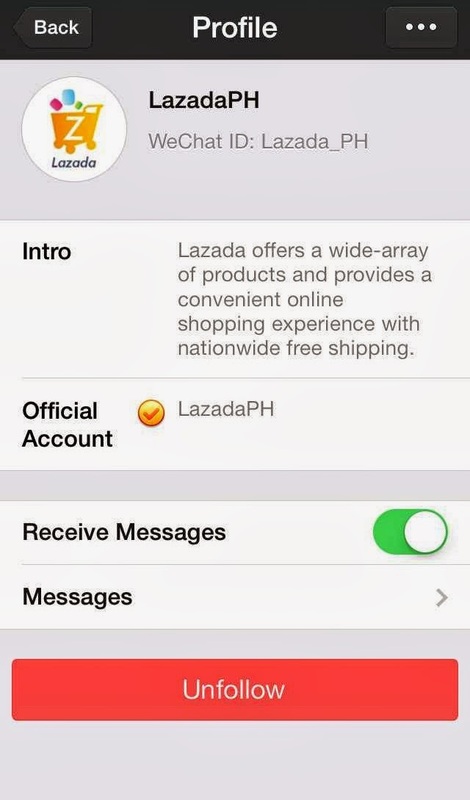 Follow Lazada Philippines via their WeChat ID: Lazada_PH. Learn more about WeChat and download the app at www.wechat.com . 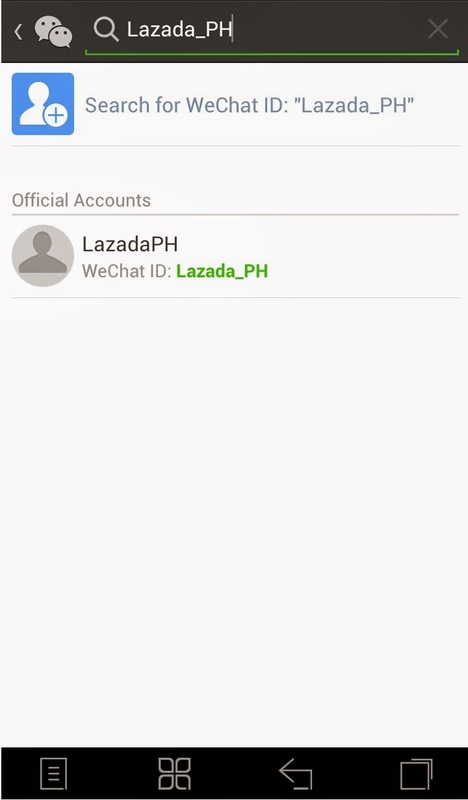 Visit WeChat Philippines Facebook page for more updates.